Early mornings see them over by the long drive to the haybarn, then by the afternoon I'll find them collapsed by the water tank, relaxing. 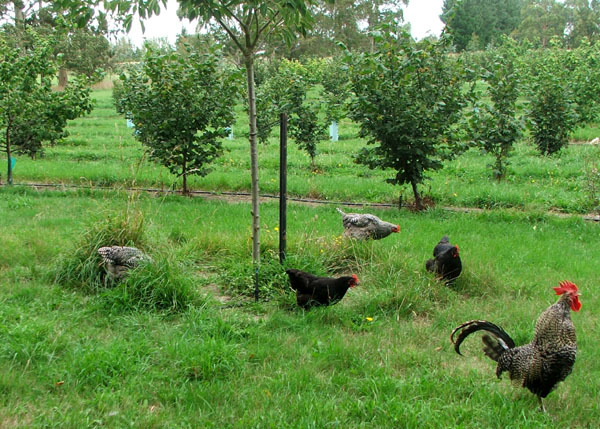 Their chicken run leads into the orchard, and the way is always open. When I'm weeding around the orchard roses I get chook company. The hens are fun, staring underneath my hands looking for anything that wriggles, but rooster can be a bit alarming. Too close! Too noisy! I've created the impression of hens with a meaningful, sensible free-ranging routine. 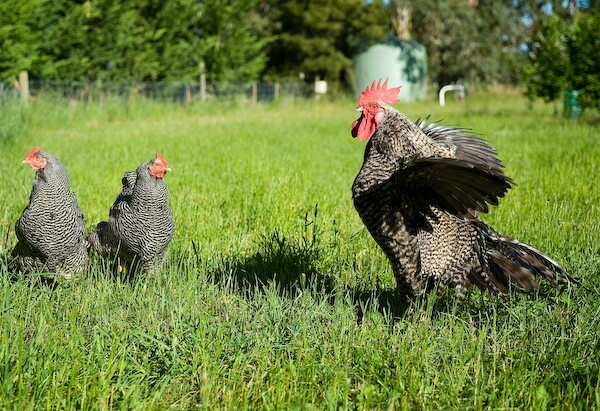 Actually they are much more random - often deciding that 'free-ranging' should include my ornamental gardens. Aargh!